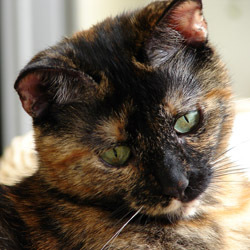 Please feel free to send us the nicest pictures of your torties or calico cats ( tortiecats@free.fr ), we will be more than happy to publish them in our photo galleries. 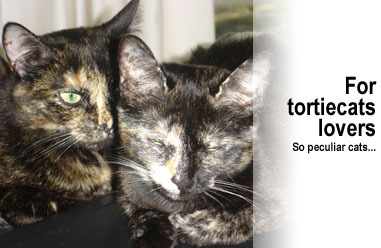 Of course we love all cats but this site is exclusively dedicated to torties and calicos. We have a new tortie at home! Please meet Mado, a 6/8 months cutie we rescued thanks to our cat protection association. Some recent pics in the gallery. Since May 2011, GABY is part of the family. An adorable caliby (tricolor with tabby patterns), Come and see her pictures here. persons have seen this page !